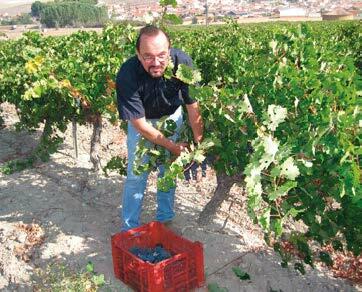 Engelbert Schmid, in Spain called DON ÁNGEL, is the founder and owner of the winery. He is responsible for the overall business management, for the enology and production, from the care of the vineyards to the elaboration and bottling. He likes to reply enological questions personally, and occasionally is available for lectures at marketing events. His wife Karina Schmid, in Spain called DOÑA KARINA (pronounced Donia Karina), is responsible for the organisation of the spring and autumn wine tastings in the amphitheatre and Mindelsaal (see www.mindelsaal.de), tastings in small exclusive circles in the Schmid Castle, and due to her language knowledge for customers care in East Europe. The sales of our wines are direct and through retailers. Don Ángel Wines as catalyst for bigger businesses! Since the DON ÁNGEL Wines are something extraordinary, what you don´t get at every corner, a gift of DON ÁNGEL Wines are very well suitable as a catalyst for bigger businesses with customers/new customers. A clear response: „In no one!“ The grapes are growing on the castilian high plains in Northern Spain, are brought to Germany as smashed grapes in a refrigerated truck and the wines are elaborated in Mindelzell in South Germany. This does not fit into any of the average drawers. German Quality under the Spanish Sun! 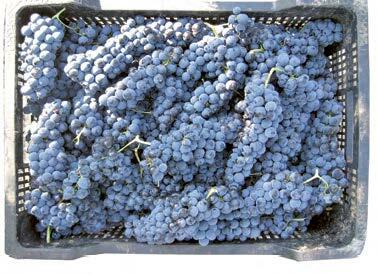 The grape material comes from Engelbert Schmid’s vineyards near Valladolid in Northern Spain. This is not fitting into any DO-drawer. DON ÁNGEL Wines are very personal. Its Engelbert Schmid, who with his knowledge and passion guarantees for these exquisite and self produced wines. Also in the most famous wine areas you find all qualities from mediocre to superb. In first respect its the vintner in the vineyard and the wine maker in the cellar, who produces the quality, not the region! The DON ÁNGEL Wines from the very beginning got International Medals. Meanwhile its almost a matter of course, that all Tintóricos and Angelayos get International Gold, – the Angelayos in the competition to the most expensive wines on the world. See more on this in the Medal Tally in this website. Since the year 2000 the DON ÁNGEL Wines has been the heart blood project of Engelbert Schmid´s, whose speciality is to realise dreams. 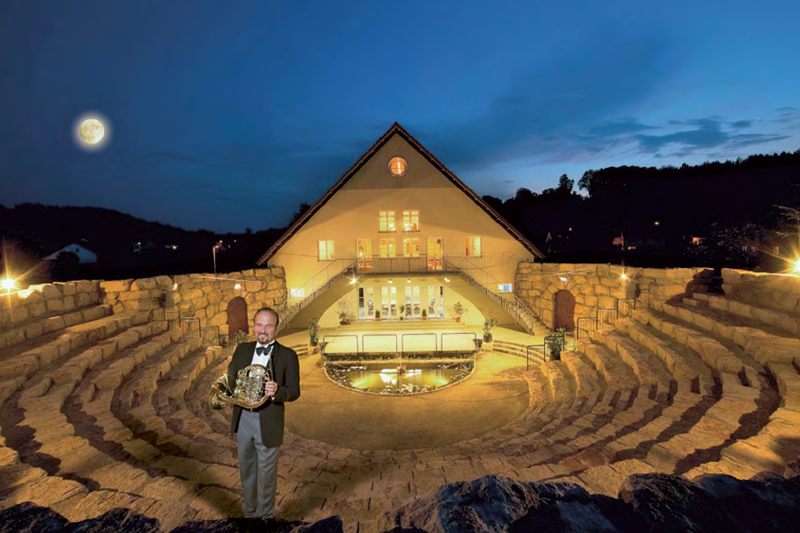 As Solo Horn in some of the best German Orchestras and as the worldwide leading maker of horns in the top professional market ( http://www.engelbert-schmid-horns.com ) he proved, that with his projects he is not only able to get among the International top leaders, but also to be able to set new standards. In 2008 he yet again realised one of his dreams and constructed Germany´s only Amphitheatre in ancient Greek style, affiliated to his horn production building. The DON ÁNGEL Vineyards are located near Valladolid in Northern Spain, on the Castilian High Plains, the home of many great Spanish Wines. The region around Valladolid has the perfect climate for wine and the best mineralic soils. The region around Valladolid has the perfect climate for vines and the best mineral soils. Absolutely healthy and fully ripe grapes are a matter of course with only a minimum use of plant protection, exclusively sulphur preparations, without which no kind of wine growing is possible. A dream for a vintner, how little of this he has to use at those steadily dry summers, – and this just preventively! Engelbert Schmid’s vineyards near Valladolid consist of old vines of the red varieties Cabernet Sauvignon, Tempranillo, Garnacha Tinta, Garnacha Tintorera and the white varieties Verdejo and Sauvignon Blanc. Around 20 harvest helpers, hardly visible in the vine lines, are beginning at morning dawn with collecting by hand. The wine making and the elaboration in all its details is in the personal hands of Engelbert Schmid, using the help of an experienced cellar master and the latest laboratory and cellar technology. Each step is crucial and requires the knowledge and the pronounced sensitivity of the wine-maker. The alcoholic fermentation follows a 3-month rest period to the natural fall of the trubbs. Then the red wines are ripened for 12 months in barriques (small 225 liter barrels) from French Allier oak. After rigorous selection in the vineyard, the grapes harvested manually in small boxes are hand-selected on sorting tables, carefully stemmed and slightly squeezed. The mash is then immediately filled into small tanks, cooled down to 0 ° C, and shipped to Germany as soon as possible. The travel time at 0 ° C is an ideal cold mashing time preceding the alcoholic fermentation, which promotes the removal of the primary fruit aromas. The Don Angel wines are available in the price categories from high to low. The Angelayo is at the level of the great cult wines, only much cheaper, at least still at the time! It can be a very good investment to put Angelayos into the your private wine cellar now. Unlike the Tintórico, the price is left to the market and can rise enormously! The Tintóricos – always at the level of international medals – remain below € 20,- in the final consumer price on principle, although some vintages are much higher in quality. Every wine-drinker should at least occasionally be able to enjoy a bottle of Tintórico! The cheap Bodegano is a surprisingly good entry wine or house wine for every day for wine drinkers who can not or do not want to spend much money on wine. White wines, rosé wines and the AngelSecco are relatively inexpensive despite their high quality. From 24 Fl. 5%, from 48 Fl. 10%, from 72 Fl. 15%, from 96 Fl. 20%, from 120 Fl. 25%, from 240 Fl. 35%, arbitrarily sorted! Shipping within Europe free, to other countries according arrangement.